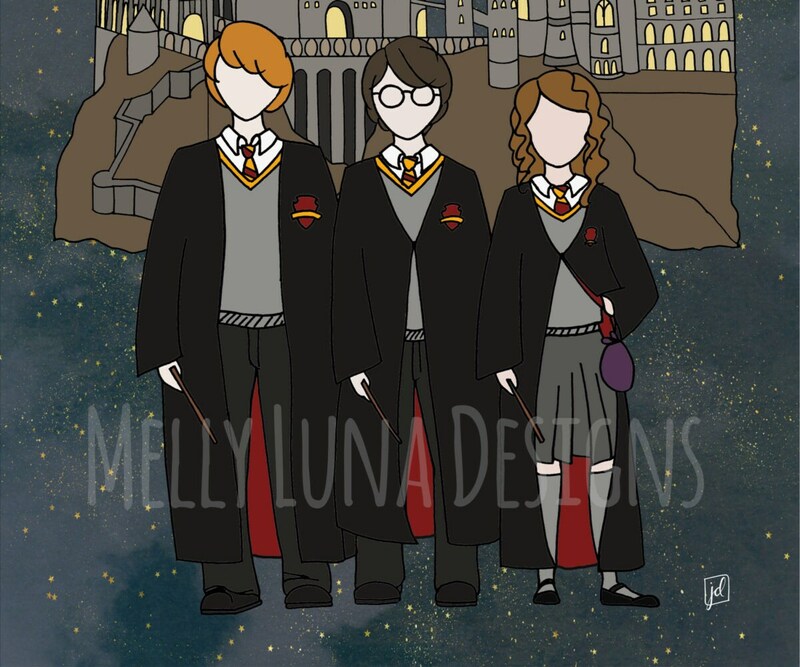 Original artwork inspired by Ron, Harry, and Hermoine of the Harry Potter films. 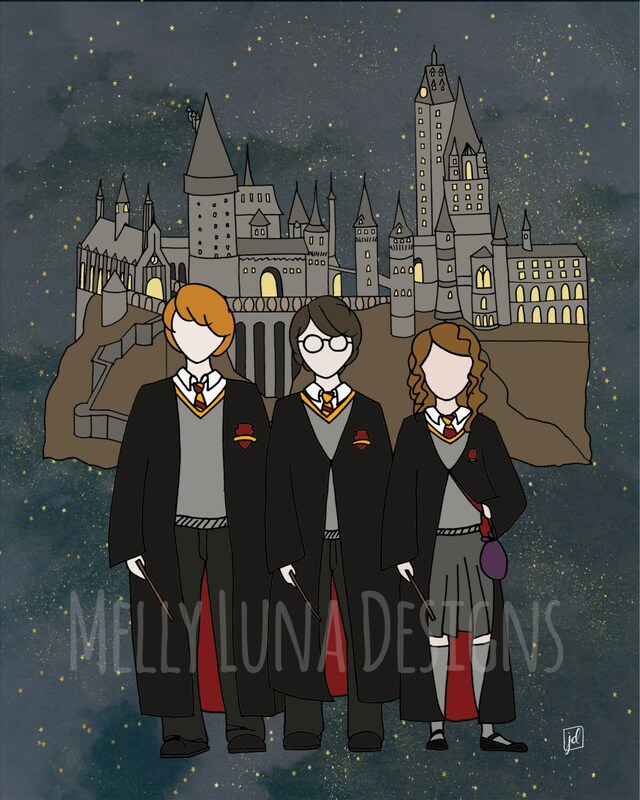 Perfect for any mega-Potter fan like me. The original art was created with pen and ink techniques and then overlaid on an abstract background. The abstract background was sourced from a fellow Etsy artists of DigiTreats https://www.etsy.com/shop/DigiTreats?ref=l2-shopheader-name and MixPixBox https://www.etsy.com/shop/MixPixBox?ref=l2-shopheader-name (stars).